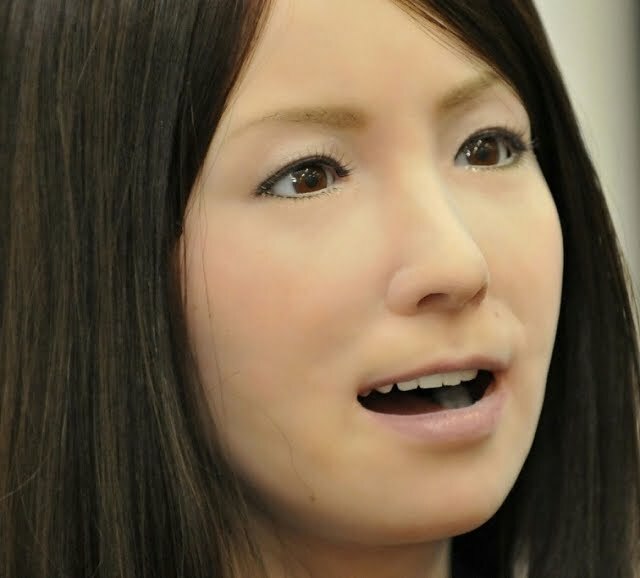 Researchers from the Intelligent Robotics Laboratory at Osaka University have teamed up with robot maker Kokoro Co., Ltd. to create a realistic-looking remote-control female android that mimics the facial expressions and speech of a human operator. 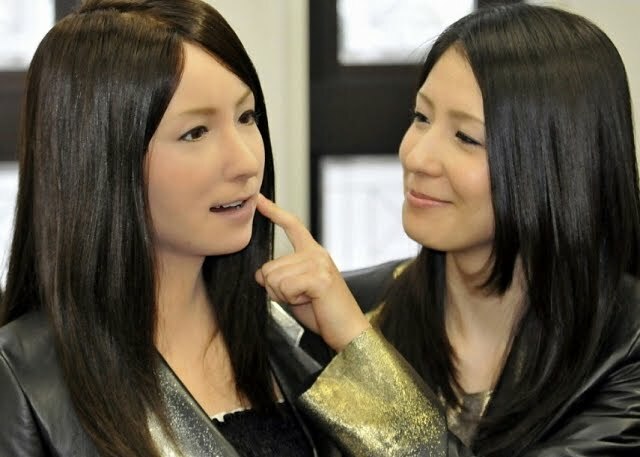 Modeled after a woman in her twenties, the android — called Geminoid F (the “F” stands for female) — has long black hair, soft silicone skin, and a set of lifelike teeth that allow her to produce a natural smile. The new Geminoid F can produce facial expressions more naturally than its predecessors — and it does so with a much more efficient design. While the previous Geminoid HI-1 model was equipped with 46 pneumatic actuators, the Geminoid F uses only 12. In addition, the entire air servo control system is housed within the robot’s body and is powered by a small external compressor that runs on standard household electricity.